Another beautiful ink by Robert Oster. This is one ink maker to watch! The turquoise isn’t the bright blend of blue and green that I expected. 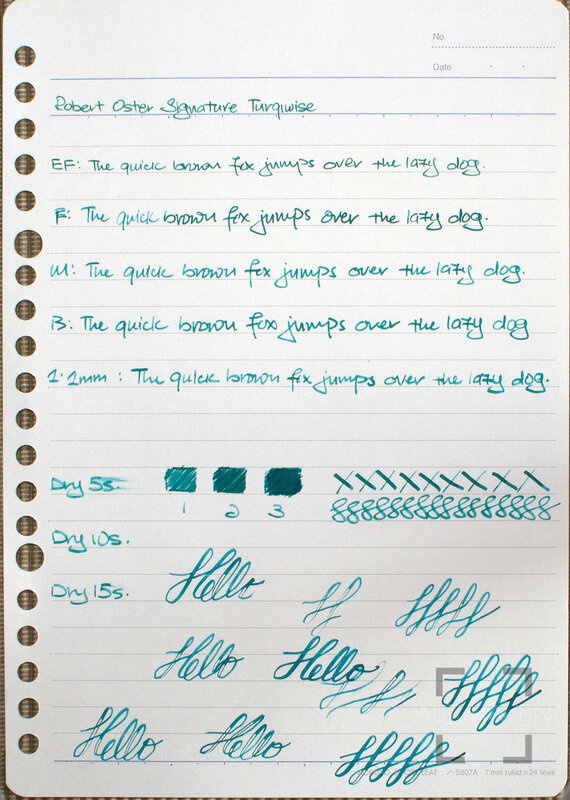 Turquoise is way more green than turquoise inks of other brands. I think Robert Oster Signature Turquoise feels like it’s right on the line between teal and turquoise. Robert Oster Signature Turquoise shades nicely and flows well even in my Sailor fine nib.